The doctor is ok, the service is ok but the wait time is long even though with appointment. Waste of time. Even though it's not the clinic I was expecting, I got all my questions answered and the person who assisted mewas very helpful. Even though it's not the clinic I was expecting, I got all my questions answered and the person who assisted me was very helpful. 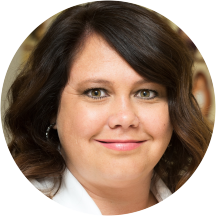 Emily Ostarcevic, FNP, is a Nurse Practitioner Specialist in San Jose, CA. She attended and graduated with honors from medical school in 2007. She studied at the University of Utah, where she earned a Master’s in Family Nursing. She has over 10 years of diverse experiences. She is currently accepting new patients! It was an urgent care and I did not have my appointment with Emily. Overall it was good, my doctor made me feel safe and shee seem educated but she kind of made me feel like a number she was tryingto get through. Wait was long even with my appointment. This is actually an urgent care, and you will likely not be seen by this doctor. I was in the office for 2 hours for a very simple visit. They couldn't even properly take blood, it took 2 failed attempts beforeI said forget it. I will not be coming back here. Emily was awesome! One of the kindest and most down to earth people ive ever met. She was also great with my son. Definitely will be back to see her! Everyone was so kind and caring! Such a supportive & safe environment.